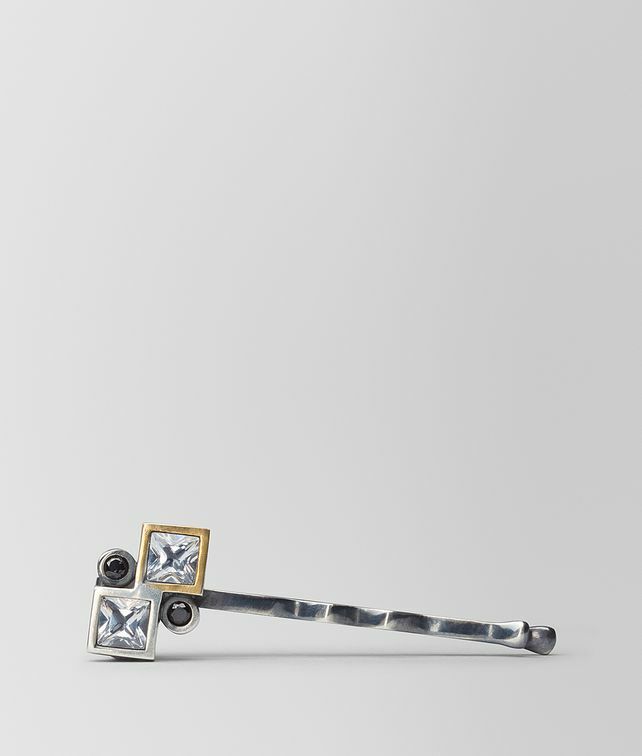 This jewelled hairpin is part of the BV Inlay Deco collection, inspired by the iconic architecture of New York City and featured in the Fall/Winter 18 collection. The head of the pin features a cubic motif embellishment made with two types of cubic zirconia. Wear one solo—or layer a few, as was shown on the runway.